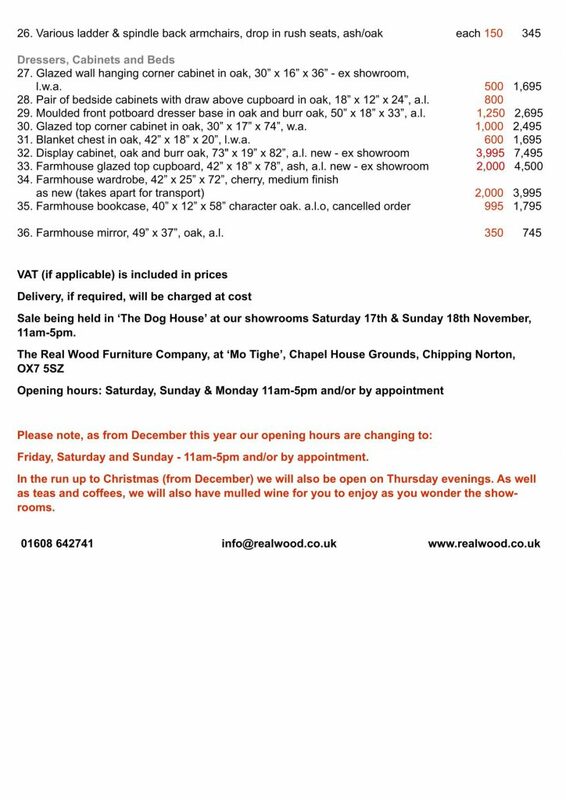 We are excited to announce another of our wonderful sales of pre-loved, ex showroom and ‘refurbished to as new’ furniture! 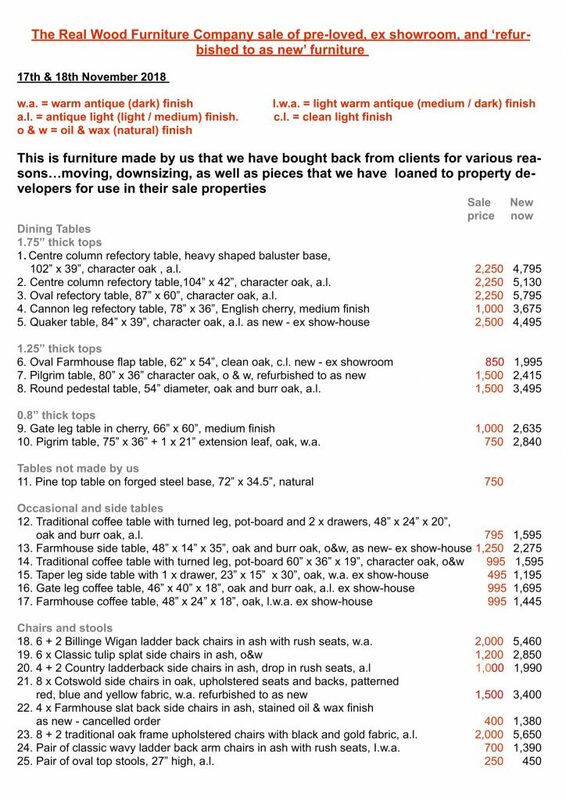 What better way to prepare your home for the coming festive months than to buy some of our beautifully hand crafted pieces at bargain prices! 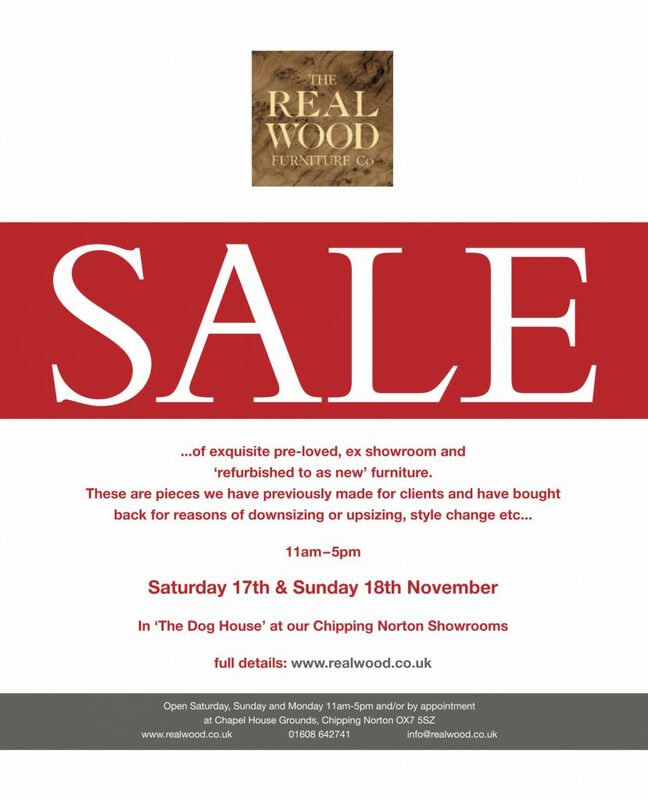 This sale will be held in ‘The Dog House’, at our new location. During the sale, our main showrooms will be open as usual for you to wander at your leisure. There is plenty of parking on site and lots to look at. Please stay tuned for a complete list of this sale’s enticing offering, which we will post on Wednesday Nov 14th – We look forward to welcoming you with a coffee or glass of wine over the weekend!